Are you carrying a large amount of credit card debt? Many people are and have been paying on their credit card balances for years without seeming to make a dent in the amount that they owe. Running up credit card debt in times of trouble may seem like the right thing to do to bridge the gap between what you are making and what you feel you need to spend, but it can have dire consequences down the road, including eating up a large share of your income, suppressing your spending power and reducing the amount that you are able to save for the future. 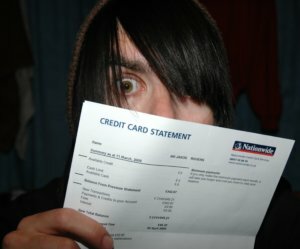 Fortunately, there are a number of simple techniques you can use to eliminate your credit card debt and get your finances back on track. Not using your credit cards while you are attempting to pay off your credit card debt may seem like a no-brainer, but you would be surprised at the number of people that continue using their credit cards while attempting debt elimination. It may be because they have run into an unexpected expenses and didn’t have any savings available to pay for it because they were putting all of their disposable income towards paying off their debts. In other cases, it is because the person wants to continue earning points or perks for using the card. In both of these cases, the continued use of the cards will make it harder for the cardholder to pay off the debt. As you begin your debt repayment plan, take your credit cards out of your wallet and hide them in a secure location so that you will not use them during the process of getting out of debt. Most of us have a number of habits that we could easily change to be more effective at paying off the credit card debt we have incurred. For example, instead of waiting to pay your credit card bill at the end of the month with the money you have left over, you could set an amount to pay at the beginning of the month or every paycheck to ensure that paying down your debt is a high priority. You can also read more books from the library and put your cable bill money towards debt repayment or sacrifice your daily latte to the cause. There are many different ways to come up with more money for repaying your debts and your personal preferences will dictate which ones you choose. You will never get out of debt if you only pay the minimum amount required to keep your account in good standing. In most cases, it would take you more than ten years to pay off a credit card balance by making minimum payments and you would have paid thousands of dollars in additional interest charges in the process. If you cannot pay more than the minimum on all of your debts, focus on the one with the highest interest rate first. You can pay down each credit card in turn until all of your debts have been eliminated.